In Penobscot, stretches of Southern Bay Road are filled with potholes and broken asphalt. Do you think you know the worst stretch of road in all of Maine? If so, there is a contest (and a cash prize) for that. Tell the Maine Better Transportation Association about it, and if your entry is chosen, a cash prize of $529 awaits. If that amount sounds strange, it’s not. 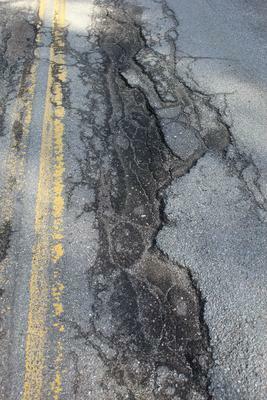 It is the estimated cost of winter road damage to a vehicle, according to contest sponsor MBTA which has been advocating for Maine’s roadways since 1939. The contest began April 1 and continues until May 1 at midnight. Each entry must consist of at least one photograph along with a description of the entrant’s experience on that road. To enter, visit FixMaineRoads.org to complete an entry form. Entries may also be submitted by email to FixMaineRoads@mbtaonline.org.